Synopsis: Tucked away in Sofie's wintery asylum with no hope of release for years, Evangeline must come to terms with her situation: the curse still plagues her, she's now hunted by a two thousand-year-old vampire, and the guy she's in love with tried to kill her. Plus, she's locked up with a cranky Max and the Forero kids—two people everyone seems to prefer dead over alive. Things aren't looking good. Meanwhile, back in Manhattan, Sofie struggles to keep forty trapped and bloodthirsty Ratheus vampires at bay and a desperate Viggo from killing Evangeline's friends, all while hints stir outside the walls of the NYC vampire asylum of a war brewing between the Sentinel and the witches. 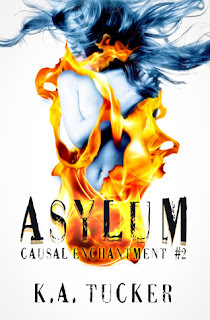 Review: 4 Stars - Asylum, the second installment in the Casual Enchantment series by K.A. Tucker dives right into the action where we last left the characters at the end of Anathema. It’s a thrilling fast paced story that goes by in the blink of an eye. One minute you’re with Evangeline in the cabin, safely within a vast snowy winter wonderland and the next you’re locked with Sophie and a group of psychotic Vampires who are trying to find their way out of their prison to tear through the city in search for human blood. See, I told you… fast paced! While Anathema was such a different story from most tales about Vampires, it was a great fresh new take on the much written about villain. In Asylum we get a chance to see a different side of her Vampires, which again was a nice change to the many other blood thirsty characters. Getting a chance to get to know Sophie better, being that half of this story was written from her point of view was a pleasure. She’s smarter than even I had given her credit for in the first book. I guess you have to be when you’re a witch AND a vampire and responsible for some pretty horrible things throughout the years. And Evangeline has grown too. She’s had to learn a lot in a short period of time and I don’t see her as the gullible girl she once was. She’s stronger now and doesn’t always think things through, but you can see how she’s grown and that makes her a fascinating character to read. When a character has that growth and you’re able to see it over the course of the book is always a HUGE plus. And then there’s Caden. I missed him in this one. If you’ve read the first book, you’ll know what a large part of the story had become about him. I was worried right with Evangeline what might happen when he made it to Manhattan and with good reason. The trials he was looking to face in this book were huge and scary, even for me as a reader. I felt I had as much to lose as he did! Tucker, I think I might have bit off a few nails while reading some of these scenes!! 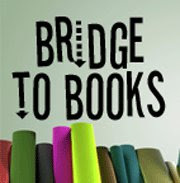 Many times a second book can stall a bit, building a bridge from one to another, and I don’t think Asylum stalled AT ALL! As a matter of fact, I think I liked Asylum better than Anathema. It’s filled with action, a dual point of view novel, which I’m a huge fan of and character growth made this a thrilling story to read. I had a chance to get to know some new and old characters and to see other characters in a different light. All in all, I have to say that with Asylum, my over all enjoyment for these books has grown. I found new things to love about the characters and found a renewed excitement to continue on to the next book. It was a pleasure to read more from Tucker and I will be waiting on pins and needles to see what happens to her characters and thanks to Sophie, what kind of trouble might find our group next. 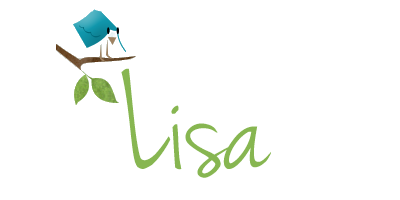 Thanks for the review, Lisa! I appreciate it!